Do you ever find yourself looking for inspiration? Do you find yourself falling into the same ruts, creating the same photographs over and over? Would you like someone with passion and creativity to help guide you out of the ruts and help you see the world in different ways, help you seek out and create something new, something abstract and artistic? Art Wolfe may be just the person to help, and his CreativeLive class, Create Art Through Photography, may be just the class to start you down a new path. Create Art Through Photography is all about seeing the world in new ways. It’s about studying art in all its many forms, visiting museums or surfing the web, viewing paintings and drawings by the masters. Study what has come before, learn to see the different patterns, textures, and lines that draw you into the artwork. And then go out into the world, into nature, and look for these same things. You will find them. The world is full of compelling abstract compositions just waiting for a photographer with the right eye to find it and create a beautiful photograph to share with the rest of the world. Art starts out the class stepping you through his history, what led him to where he is today. He began as a painter, but eventually embraced photography. He has always loved the outdoors, and would spend much of his time hiking and climbing through woods and mountains. Through photography he found opportunities to travel, to see different cultures. He was drawn to different cultures and became passionate about documenting them before they disappeared. He loves wildlife and has spent much of his career traveling the world and photographing animals of all sorts. 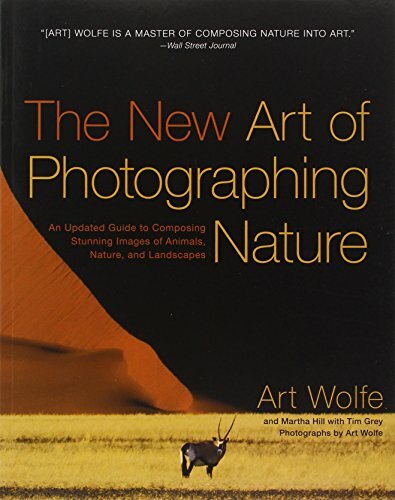 If you’ve already watched his previous class, The Art of Nature Photography, then some of this section may already be familiar to you. In the beginning of both classes he goes over his history for those who are not familiar with it. Through his life, Art has continued to stretch himself artistically. He is always looking for something new to photograph, and for new ways to photograph. New technology has opened up new possibilities, giving him the opportunity to explore photographs that never would have been possible in the past. Art embraces these possibilities. But he has also explored different subjects, or the same subjects in different ways. Over the years, Art has spent more time looking for the smaller, more intimate landscapes. He has created the large sweeping iconic shots, but he also strives to find the more subtle, less photographed shots. This class explores the world of the abstract, images where we may not recognize the subject of the photograph. These are abstract expressionist photographs, more akin to the artwork of the great painters. Think Mark Rothko, Piet Mondrian, Jasper Johns, Kazimir Malevich, M.C. Escher. Art discusses the concept of Wabi Sabi, a Japanese term referencing the randomness and impermanence of nature. It’s about balance, and filling the frame with content so your eyes can navigate through it. He says there is so much potential out there, that we should try to see in ways we don’t normally see. It can take time, but we can train ourselves to do this, to see patterns, textures, and lines, and to capture these in abstract compositions. Visit museums to help maintain inspiration. Art mines the work of abstract expressionist painters, finding new ways to photograph landscapes. It helps him see subjects he might not have considered years ago. Study artists work, then go out into the world and see what you can find that reminds you of their work. It’s not about copying the work of others, but drawing inspiration from it. Over time this will become natural and will shape the way you see the world around you. You’ll walk around town visiting locations most photographers never visit. You’ll find compositions most other people would overlook. You can do this in town or out in nature. There are subjects everywhere. Look for line, color, distortion, ambiguity. Art says this is creating metaphors through photography. In the final section of the class, Art looks through photographs submitted by students. He critiques their composition and brings them into Lightroom to show how he might approach editing the work. I really enjoyed seeing how Art approaches this process, taking the raw file and turning it into something more. You can’t make a bad photograph great this way, but you can bring out the detail and wonder you visualized when snapping the shutter. I think there’s always something of value to be taken from these types of critique sessions. 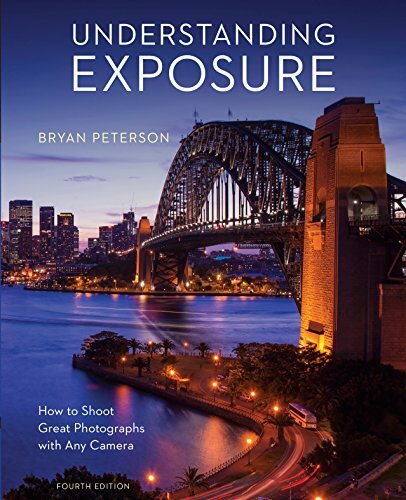 I was pleased with my purchase of this class, even though I was familiar with some of the content both through a previous class I purchased (The Art of Nature Photography) and through a live presentation I was fortunate to attend. Art considers this class an appetizer for the Photography As Art seminar he teaches in various locations. If you have the opportunity try to attend one of his live seminars. If you’re unable to attend a live seminar, or if you just want to own the videos to watch again and again, then consider this class. Create Art Through Photography consists of 16 videos totaling about 5 hours of content. It also includes a 150 page ebook, titled On Puget Sound, that is absolutely full of beautiful images by Art Wolfe. When you purchase the course you’re given the ability to download all the videos to your computer or mobile device to watch offline anytime. 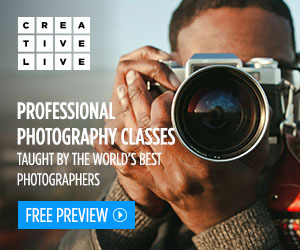 You can also stream the content from CreativeLive’s website. If you feel you’re in a rut and are looking for something to help push you forward, give Create Art Through Photography a try. Art Wolfe is a passionate photographer and teacher, and he can help you see the world in new ways.